In October 1998, the LGBT community was hit hard by news that a gay, 21-year-old University of Wyoming student had been tied to a fence, severely beaten and left for dead. 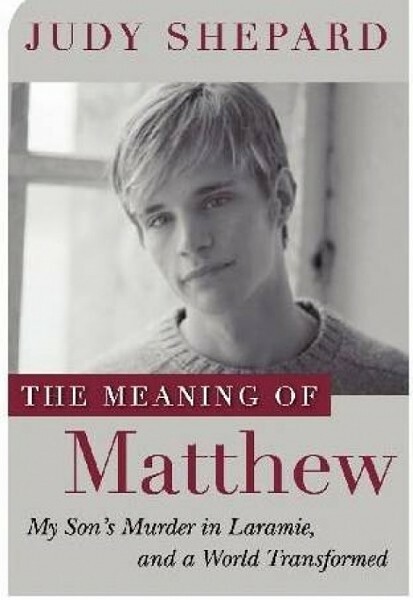 Coming as it did during a heated debate in the U.S. Senate over the Hate Crimes Prevention Act—which the late Sen. Ted Kennedy, D-Mass., among others, fought for until his dying day— the murder of Matthew Shepard became a rallying point for the measure’s proponents and a hot topic for the media. Today, Shepard’s murder remains a potent symbol: for gay folks, it’s a personal symbol of the brutality and intolerance we have all experienced; for hate-crimes activists, it’s a political symbol of the cause. A perennial House bill aiming to extend federal hate-crimes protections to gays and lesbians, among other often-targeted groups, is commonly known as the Matthew Shepard Act. I’ll admit it: During all the personal navelgazing and activist politicking of the intervening 11 years, I forgot that Shepard was not just a symbol. He was a human being. And that is the revelation of the memoir by his mother, Judy. Judy offers a taut report of events following her son’s murder—the emotionally shocked overseas journey to his bedside, the ensuing media frenzy and solemn activist vigils, the low antics of defense attorneys during the murder trial— interspersed with an achingly intimate portrait of her relationship with Matthew. In particular, Judy’s plain, straight forward account of how she came to grips with her son’s sexual orientation is heartbreakingly universal. Judy Shepard: The Meaning of Matthew @ Main Library Auditorium, 210 E. 400 South, 801-524-8200, Saturday, Sept. 26, 7 p.m.